This is a sponsored post written by me on behalf of Domino’s, but all opinions are my own. 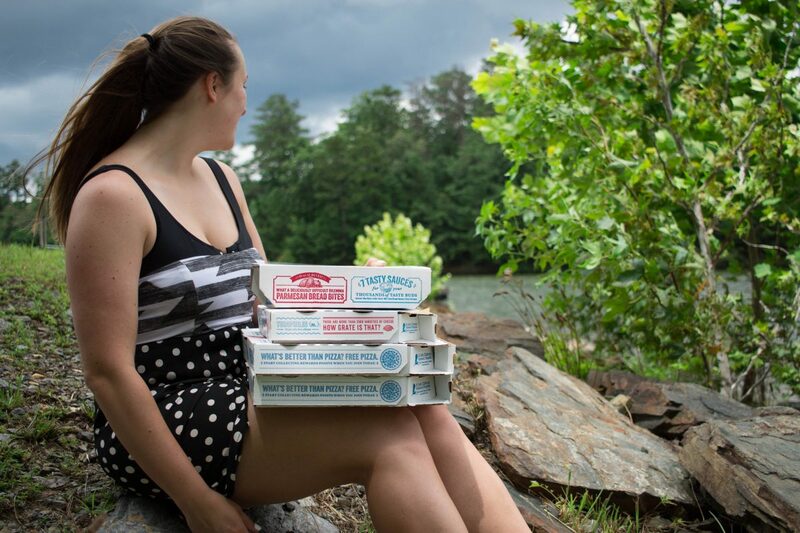 If you love pizza and want to learn how to plan the perfect lake day, keep reading along! Ian and I have a few summer activities that we do every single year, without fail. 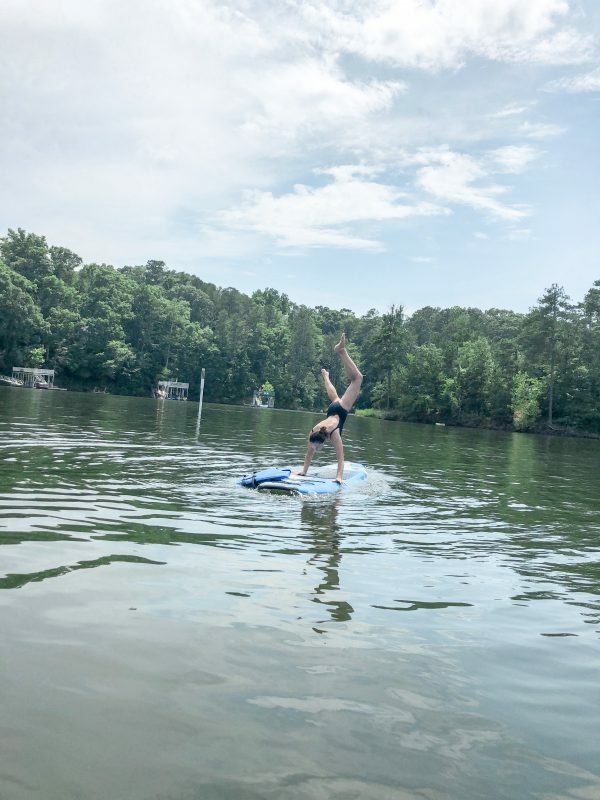 We love tailgating at Braves games, going to Zac Brown Band concerts, having backyard barbeques with friends, and of course, paddle boarding on our local lake. This year has been extremely hot so far, and in my opinion, hot summer days call for cool water, good friends, and tasty food. Lake days take a lot of preparation because once you are out on the water, there is no turning back, or else you might as well come back another day. We have done many lake days over the years, so I think we have finally mastered the ‘technique,’ and I wanted to share it with all of you. 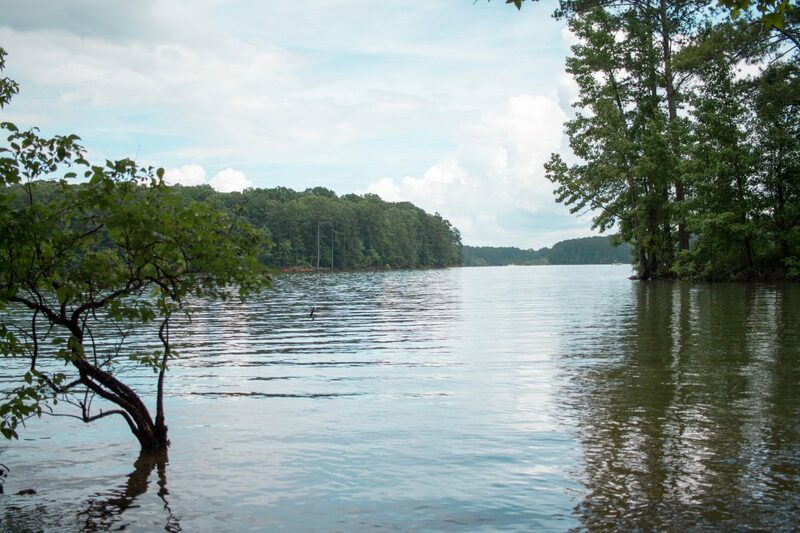 So, without further ado, let’s jump into how to plan the perfect lake day! 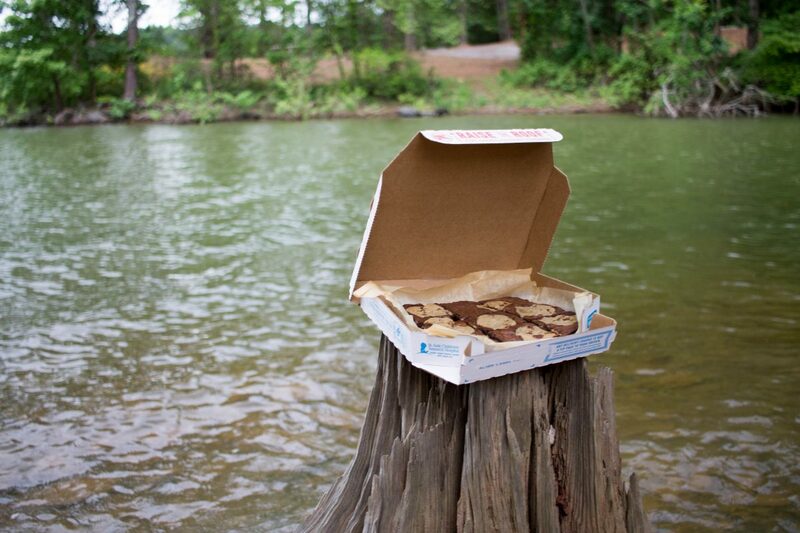 The first step to a successful lake day is to make sure you have all of the essentials. Your bathing suit, a towel or two, an extra change of clothes, plenty of water, sunscreen, water shoes (if needed), a waterproof speaker, a backpack, and your wallet. I urge you to put sunscreen on before you leave your house and once you arrive at the lake, and then you should re-apply every few hours. 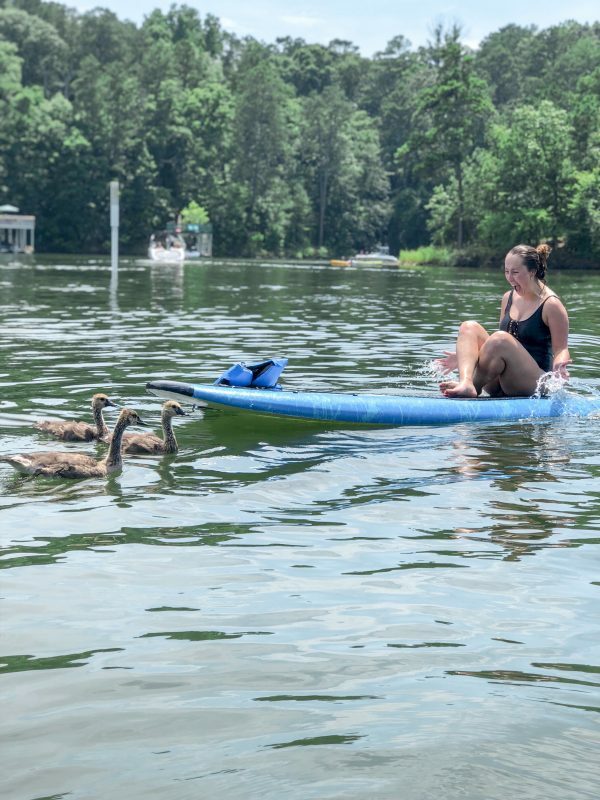 For us, we paddleboard, but there are many different lake activities that you could do. Kayaking, boarding, boating, and more…there really is something for everyone! 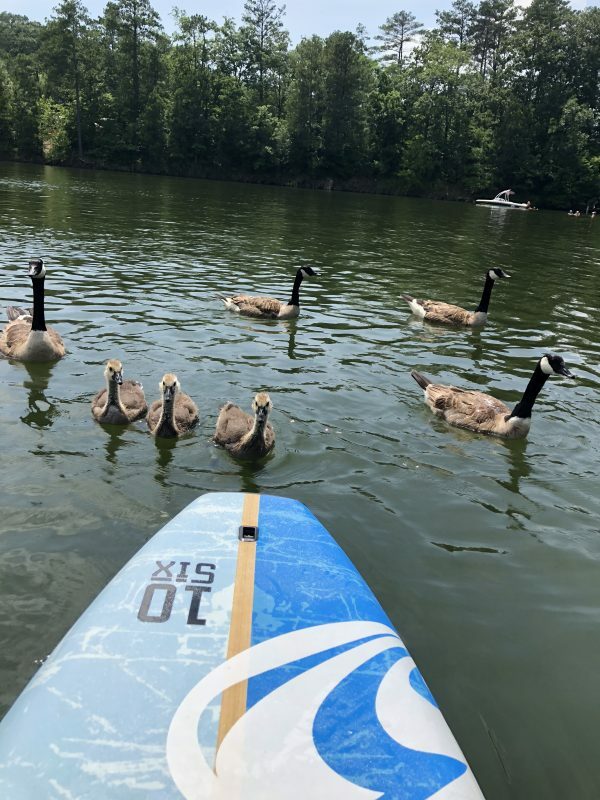 If you choose to paddle board, look into renting your board before purchasing one. There is a store near our house that rents them for $25 a day, which is an amazing deal. They aren’t too expensive to buy if you are going to paddle board frequently, so I would also keep that in mind! Staying hydrated is extremely important. Remember me telling you to bring a backpack with you? Well, this is where it comes into play. When you go out on a paddle board, it is tough to come back to land each time you need a drink, a snack, sunscreen, etc. My recommendation to you is to pack a backpack and fill it with everything you need and only come to land once during the day, for lunch. This will allow you to make the most of your day and spend as much time as possible on the lake. It is very easy to get dehydrated on the lake because you are working hard by paddling, you are having fun with your friends, and you are using your energy to maybe do a trick or two. Please remember to drink your water. My number 1 tip on how to plan the perfect lake day would probably be to stay energized and hydrated. This is where it could get tricky. In my opinion, when you are on the lake (or doing any water activity, in general), you need to eat something that will give you sustenance. So, don’t think that a few celery sticks for lunch will do the trick – you need more than that. Like I mentioned above, paddle boarding is not the easiest sport. You are using a lot of your energy, and if you do not stay fueled and hydrated, things could potentially get scary. This is why I recommend taking a few snacks out in your backpack and then coming back once during the day to eat a full lunch. 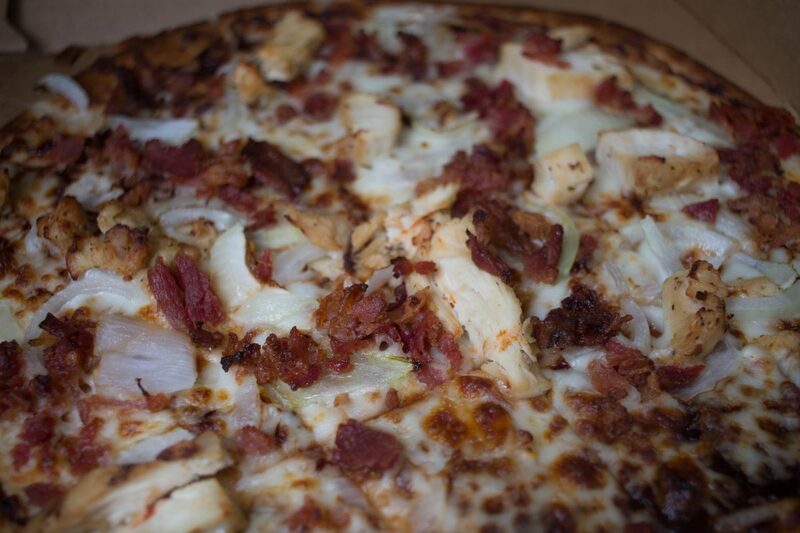 We’ve always struggled in the past with lunch. I believe that eating carbs are best when on the lake, so in the past, we have always taken sandwiches with us. The issue with this is that they need to stay in a cooler to stay fresh, which makes the bread soggy. Who wants to eat a soggy sub sandwich?! Not me. 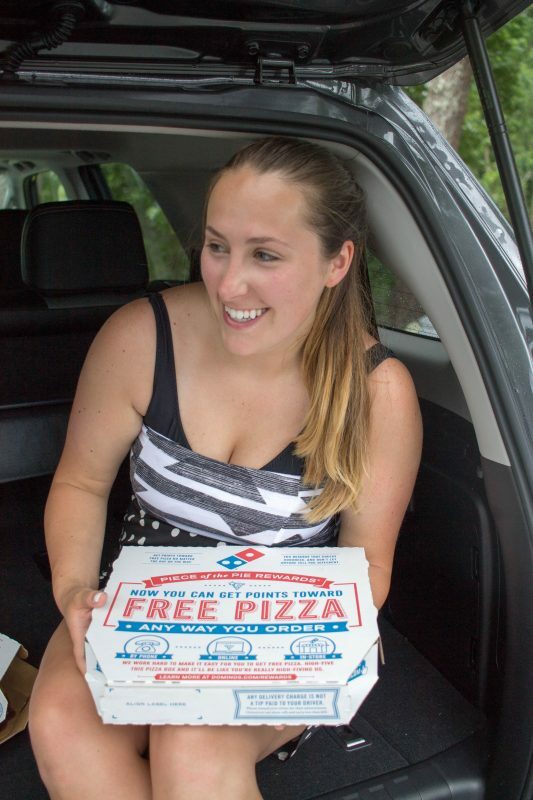 This year, we tried something new – we ordered items to a Domino’s Hotspot, which was such an awesome idea! 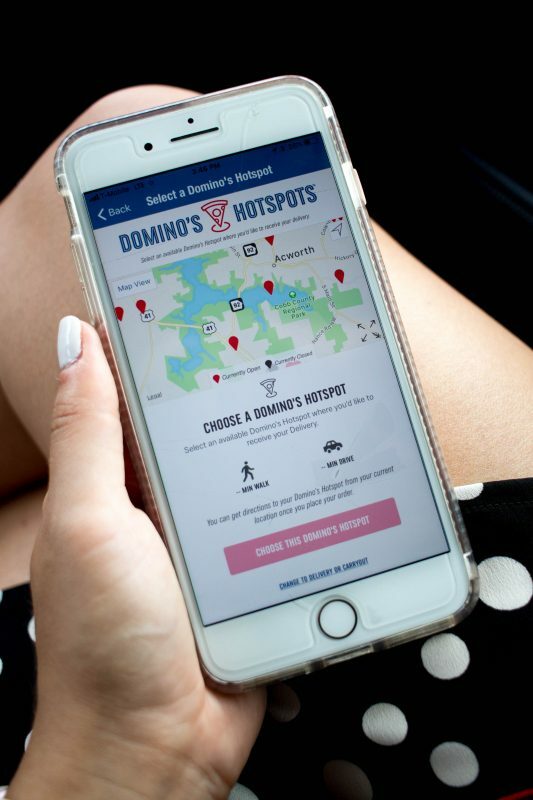 With Domino’s Hotspots ®, you can get Domino’s delivered to places that do not have traditional addresses. 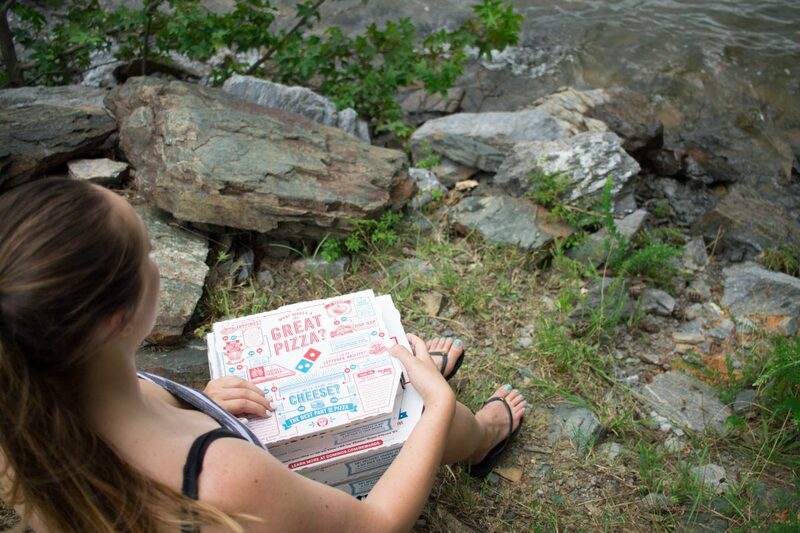 So, you are now able to get your pizza (or wings) delivered to parks, sports fields, beaches, lakes, and more. 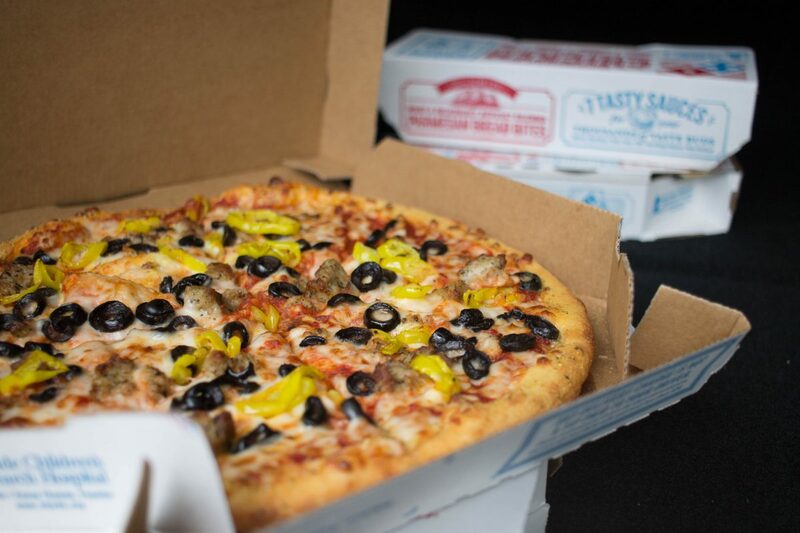 It is so easy to get the pizza you love delivered to the places you love with ease and convenience. I’m telling you – the flexible delivery options are amazing now! 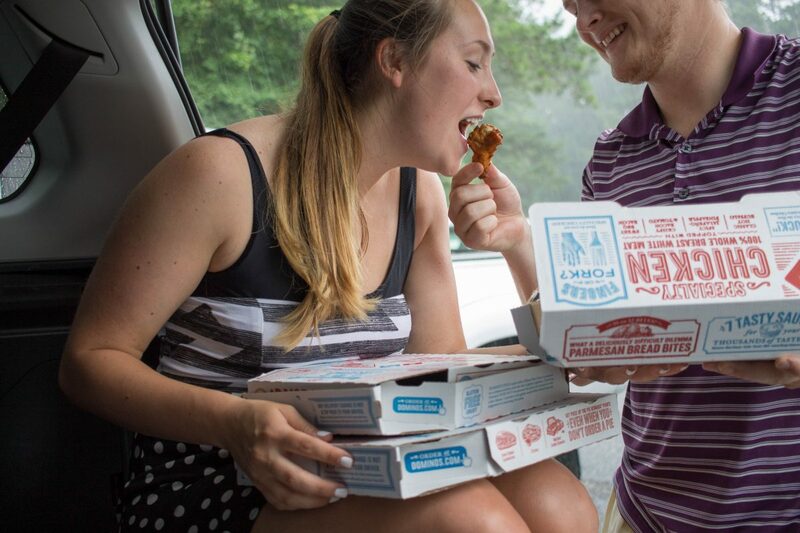 Using Domino’s Hotspots allowed us to get a hot, fresh meal without having to lug around a cooler, or eat soggy sandwiches. The process of ordering was extremely easy as well. You just order through your phone (on their app or on their website), pay with a debit or credit card, and your pizza is on the way. It was so nice! It also worked out for us really well because it started raining almost as soon as our pizza was delivered, so we just made a camp in the car and re-fueled before hitting the lake after the rain stopped again! Having fun is what it’s all about, right?! Make sure you are focused on having fun. If you have all the safety precautions in order, there is not much else to worry about. 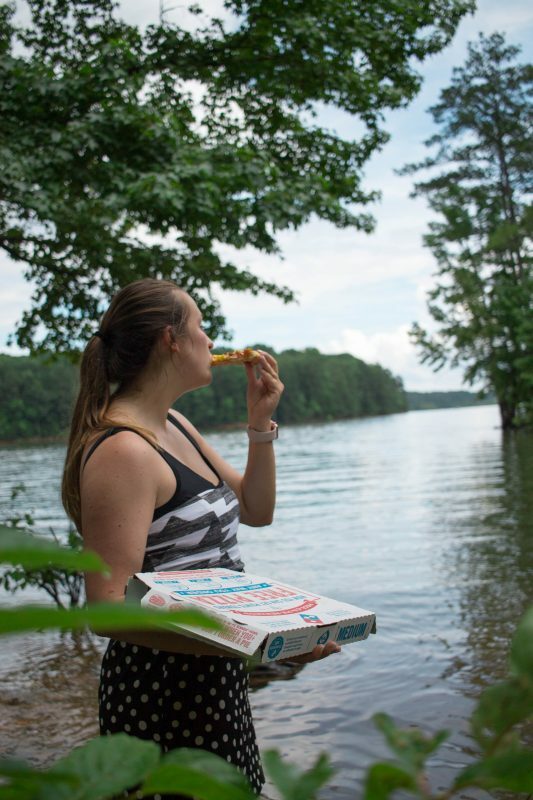 Enjoy your time on the lake and then have a great, hot meal delivered from Domino’s thanks to Domino’s Hotspots when you are ready to chow down! This is a sponsored post written by me on behalf of Domino’s.